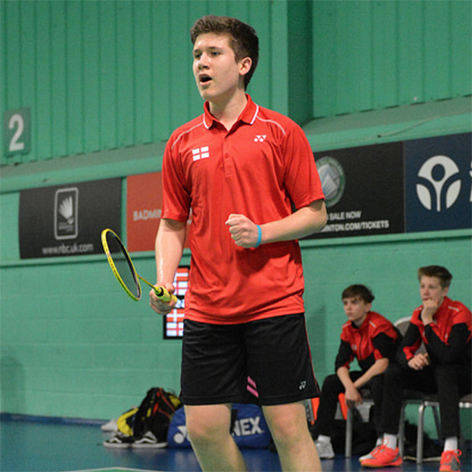 Karakal and England's rising badminton star Ethan Rose is through to the last 8 at the 2018 English National Badminton Championships at the Wycombe Leisure Centre in High Wycombe. Ethan, aged just 15, recorded victories in the early rounds over Sam Smith (21-14, 21-19) and Sam Lyle (21-7, 14-21, 21-13) and will now face Ethan van Leeuwen in tomorrows quarter final. Tournament information and results can be found at www.BadmintonEngland.co.uk.